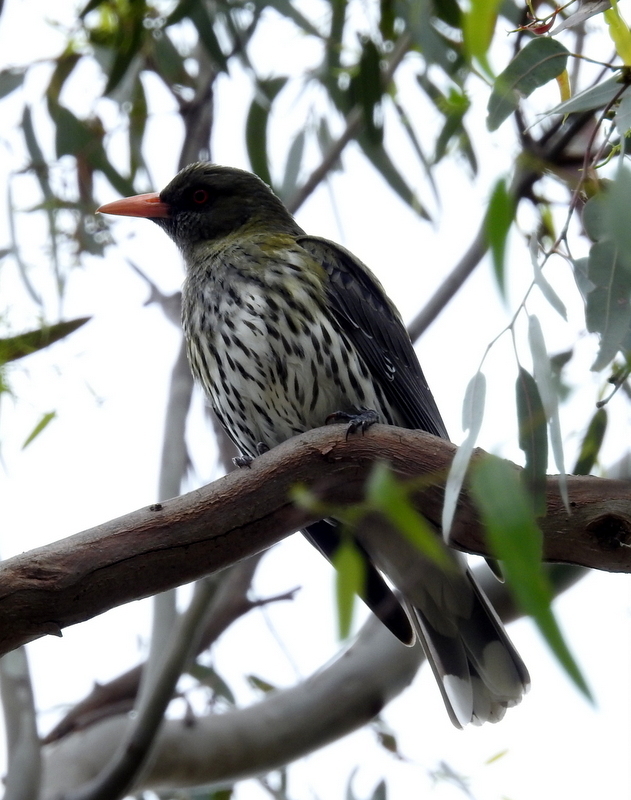 At first sight the art of twitching (bird watching) seems fairly easy – memorise from a reputable bird book all the birds in your area and then observe them in the wild. It is only when you hang around with a group of twitchers do you realise the complexities that lie within this past-time. Veterans to the game can not only identify the birds by sight, they can do it by bird call. There is an added layer of difficulty when immature birds get thrown into the mix. It then becomes apparent just how much knowledge some twitchers have. Olive-backed Orioles (Oriolus sagittatus) have been calling in the district and there are young ones about (see picture above left). Apart from their distinctive call the pattern on the breast is a give-away. Paint the beak orange and make the eye red and voila, you have an adult Oriole (pictured right). Easy right? 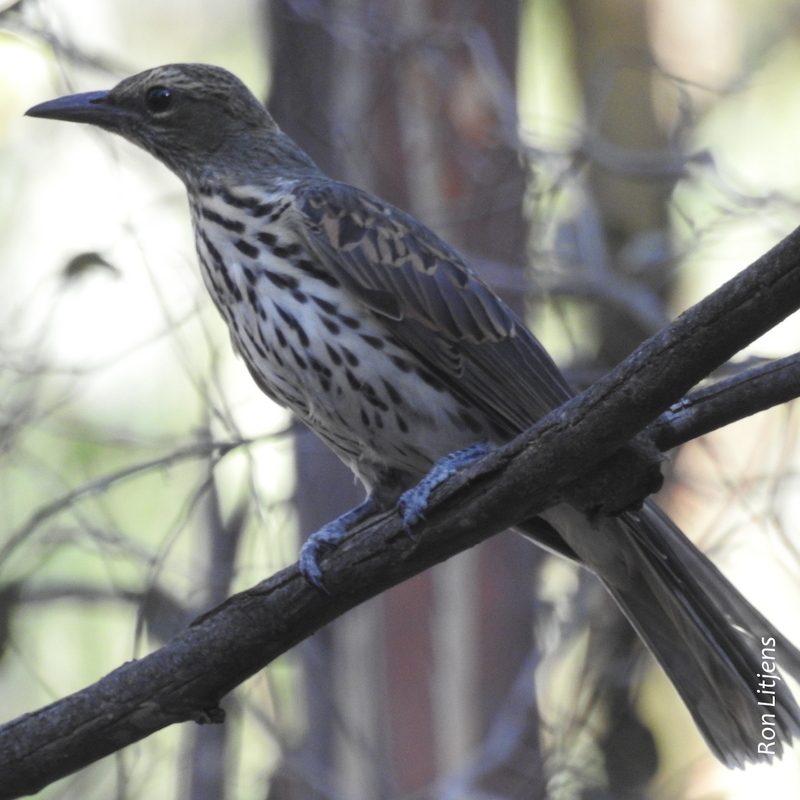 Similarly, the difference in appearance between an immature (left) and adult (below) Grey Shrike-Thrush (Colluricincla harmonica) is also about colouration, in this case the immature bird has a tan eyebrow and tan wing edges. 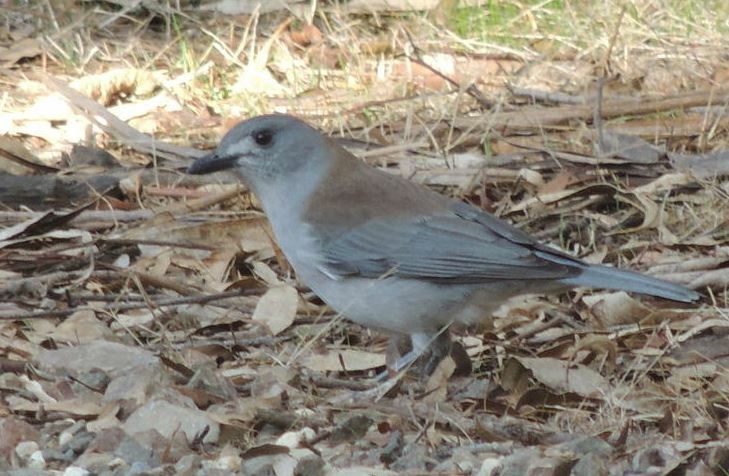 Of course if you are in the know you will know that the adult pictured is a male – the lores (the area between the eye and the beak) is white not grey. OK, a bit trickier but still relatively simple. I am always impressed though by twitchers who can identify the differences between the many Australian raptors – kites, kestrels, falcons, goshawks, hobbies, etc. 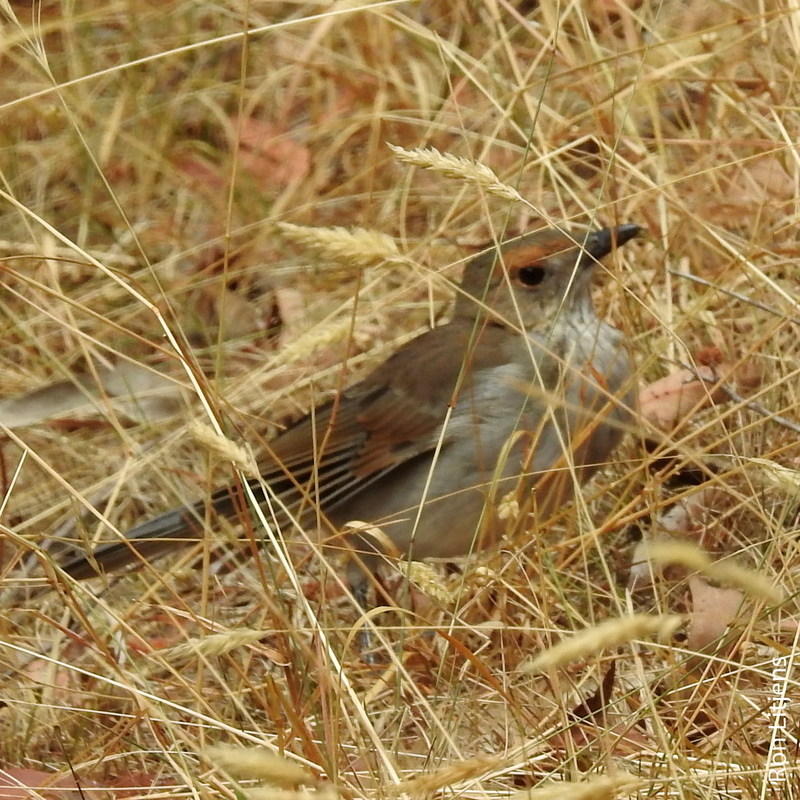 I asked a twitcher friend to identify the bird in a photo I had taken (left). 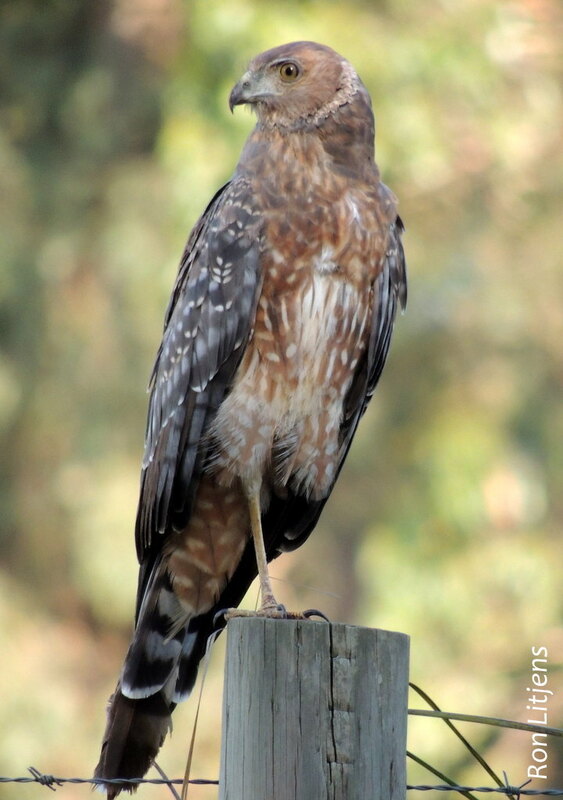 He immediately said a Spotted Harrier (Circus assimilis) and then after about half a minute of looking at the photo said ‘Second year bird’.